Fortnite’s World Cup begins April 13 and will be comprised of weekly online matches leading up to a final with a $30 million prize pool in July in New York City. The weekly tournaments each have a $1 million pool, which means there’s a lot of money on the table for would-be pros—if they can find a reliable way to practice for it. The only way to get better at Fortnite’s battle royale mode is to play it. There are no dedicated practice modes. In yesterday’s patch, Fortnite released its new competitive mode, called Arena. Arena is a solo- and duos-only ranked mode through which players can qualify for Fortnite’s Online Opens and, if they manage to “climb to the top,” they could end up qualifying for the World Cup. While this ranked mode will go a long way toward separating players who want to play competitively from those who just want to create mayhem, it’s not quite the dedicated practice environment Fortnite needs to become a truly viable esport. Technically, Fortnite does have the option to create custom matches, but the feature isn’t available to all players. In February, Epic began testing custom match keys, but they were only available to certain players at the developer’s discretion. (Epic Games did not respond to questions about whether it has plans to make custom keys more widely available in the future. Update 11:44pm—Epic Senior PR Manager Nick Chester writes that Epic is “looking into more opportunities that will allow others to engage [in custom matchmaking] across the community.”) This means that currently, Fortnite’s pro scene doesn’t have consistent access to the controlled environments that are standard in other competitive games like Overwatch and CS:GO, which have options like custom matches, local games, or training matches with bots. Other battle royale games like H1Z1 and PUBG also have options for custom matches. Currently, one popular workaround for this problem is by organizing “pro scrims” via Discord channels. Elevate, a Fortnite player for 100 Thieves, called these scrims “an older method that has been used really since Fortnite came out.” These Discord scrims are usually done by invite only, based on player rank. Players use Discord to coordinate regions and times to play. After a countdown, players search for a game to join at the same time, hopefully getting into matches with each other. “Typically, the pro players will all hop into a discord together and ‘queue snipe’ each other to scrim. This is where they host a countdown and all queue into game at the same time in the same region so that they can, for the most part, all end up in the same game lobby, allowing them to play against each other in public games,” Lauren Laracuente, assistant general manager for professional Fortnite team Rogue, told Kotaku. Ramon Perez, Esports Operations Manager for FaZe, told Kotaku through a representative that FaZe also organizes pro scrims via Discord. But these scrims can, of course, be unpredictable, with no guarantee that players will end up in the same matches. Sometimes, unsuspecting lower-level players end up in pro scrims, causing issues for pros looking to practice. There are other issues besides the availability of tournaments. Earlier this week, FaZe captain Cloak tweeted about his concerns with online qualifying matches, “Me and TTfue had 6/10 lobbies with 0 pro players in them. Yet I watched 72hrs and VividFN played 10 games with almost full lobby of pros each game.” Some tournaments have skill requirements, which let pros practice against others of their same skill level, but other tournaments are open to all. Ceice and Elevate both pointed to Fortnite’s recent open tournaments as being open to all players, but said that tournaments mostly consist of others of their skill level. For better or worse, though, Arena is still open to all players. There’s something inspiring about Fortnite’s current free-for-all nature—any player could find themselves in a match with a streamer or pro. The open nature of the tournaments and of Arena mode also means that any Fortnite player could, technically, grind their way into a big win. 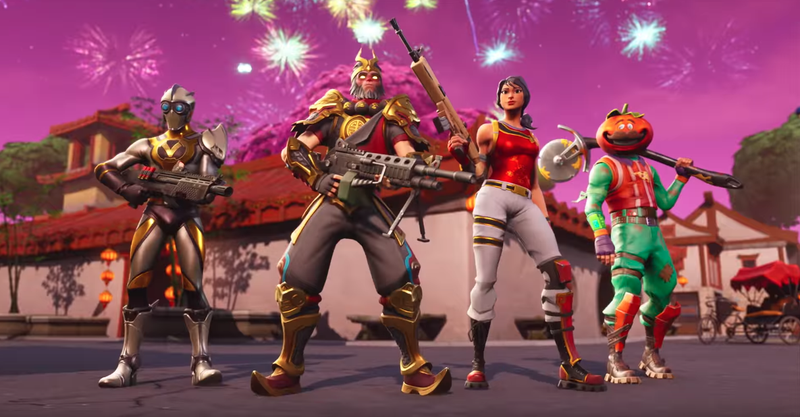 Fortnite has made its name on its widespread availability, through being free-to-play and available on more or less every platform imaginable. But as the game continues to stake its claim in esports, a division between pro and regular play is going to emerge. And no matter what, that’ll be different.